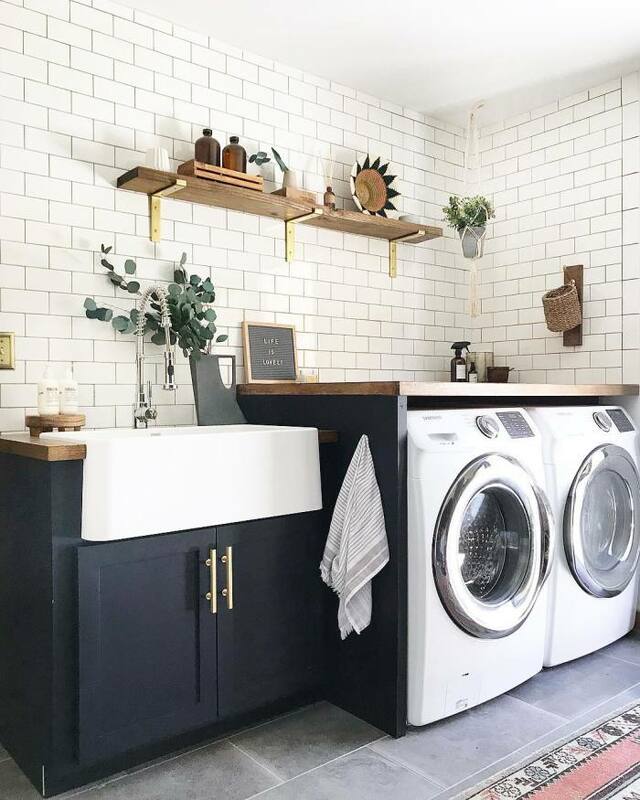 Clean and Fresh - This laundry room combines marble and wood-look porcelain. 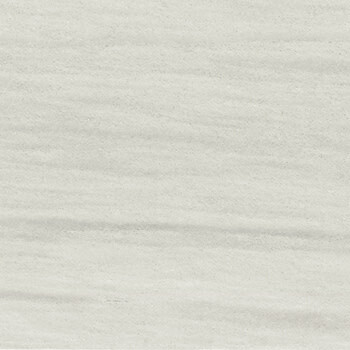 For an elegant look, the designer choose a honed marble slab of Soho White for the countertop and backsplash. 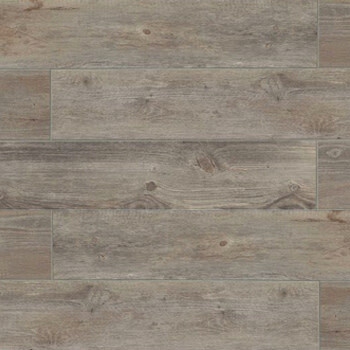 The floor is our wood-look porcelain Tahoe in the Glacier color. 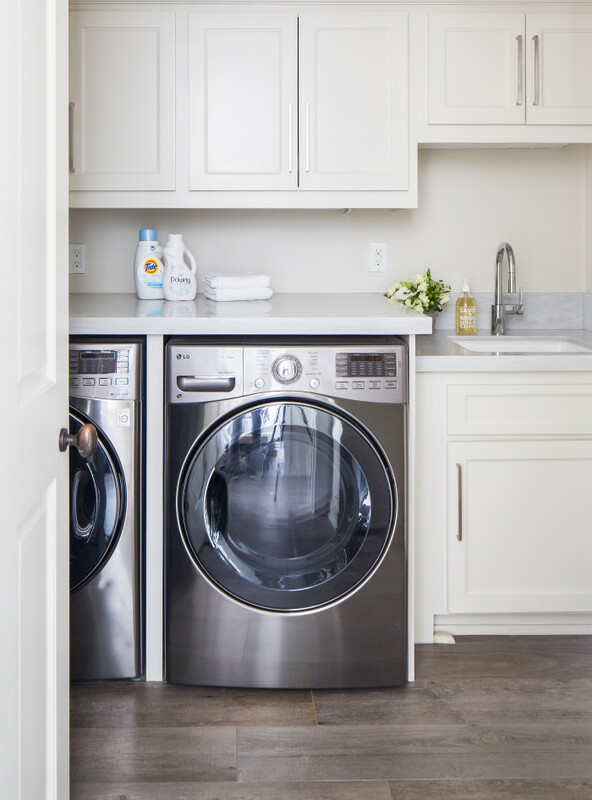 Because laundry and mudrooms come in contact with water, porcelain is the best choice for a laundry room because it doesn’t allow moisture penetration. 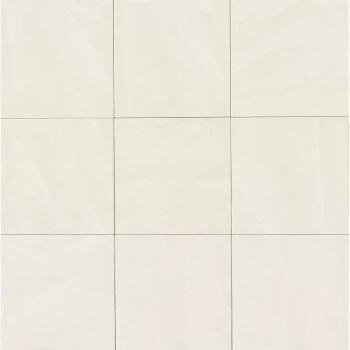 Subway Style - White subway is a classic choice for a full wall. The design is made for longevity with the pairing of navy blue cabinets, a farm sink and a concrete-look porcelain tile floor. Open shelves keep the room light and airy. Dogwash Station - Our dogs are part of the family, and although we love them, we don't tend to love their hair and dirt in our showers and tubs. 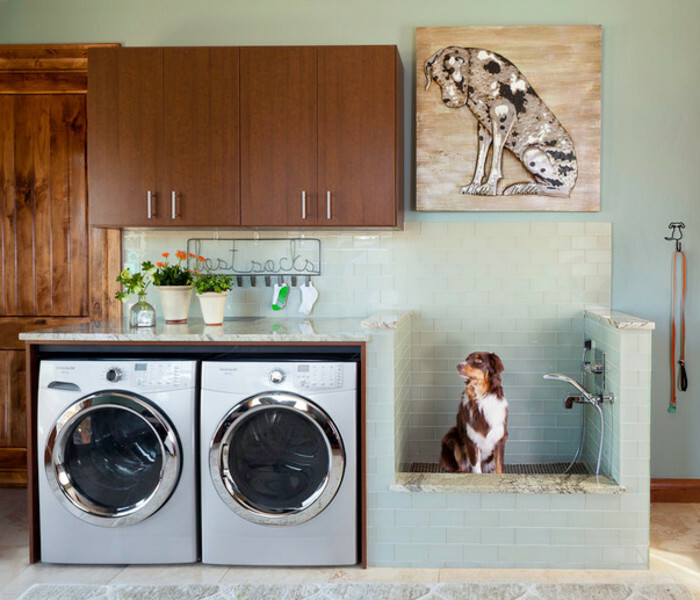 The laundry or mudroom is a perfect space to add an in-home grooming station and general pet care area. 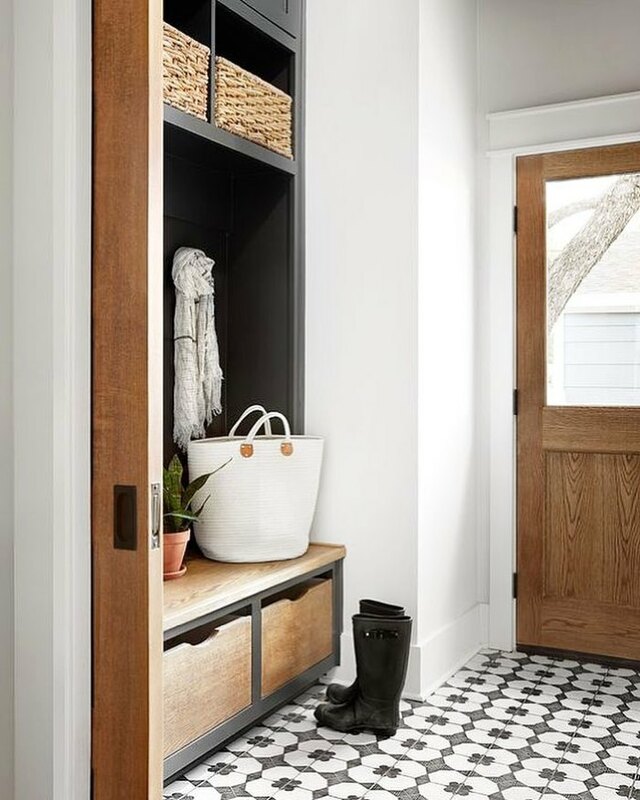 Modern Mudroom - Featured on Fixer Upper with Chip and Joanna Gaines, the home's mudroom sports our Enchante porcelain in the black and white Moderno pattern. 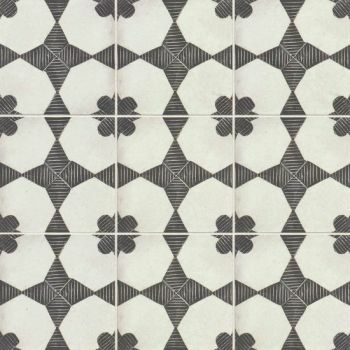 This patterned tile pairs well with the black elements of the bench and storage unit. 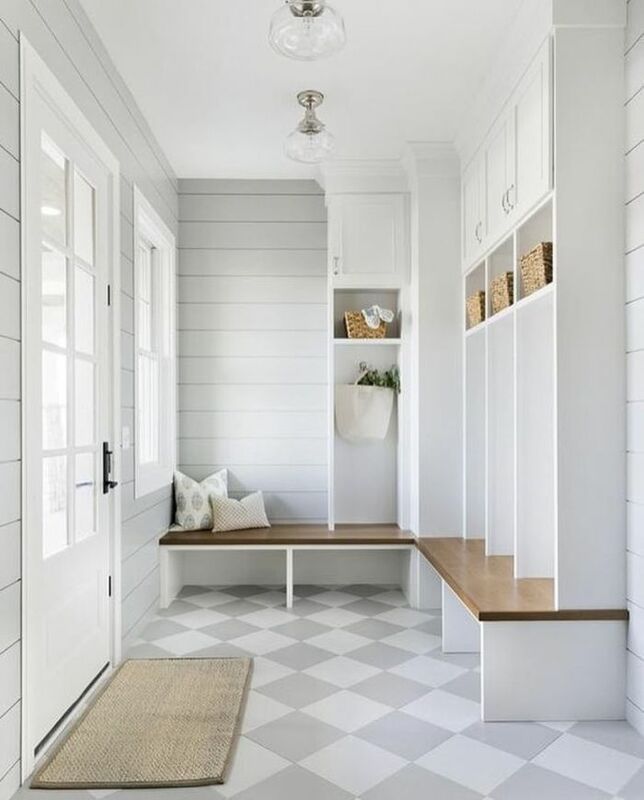 Check It Out - Clean, light and fresh, this mudroom's design is so simple to recreate. 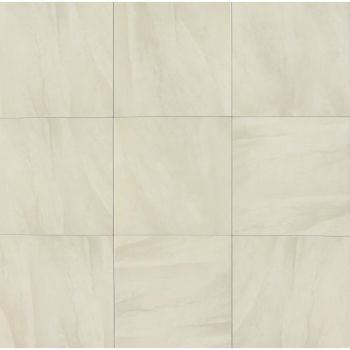 All you need are two light colors of 12"x12" porcelain tiles set in a checkerboard pattern and everything else in white! Use cabinets to create "storage lockers" for coats, bags and outdoor gear. 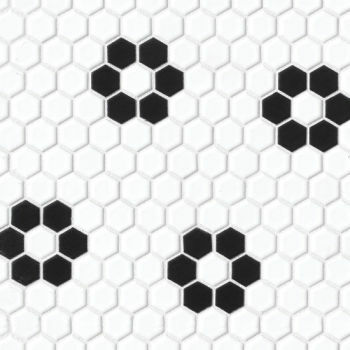 Let's Talk About Hex - This nature-inspired, geometric shape offers your space a stylish, yet timeless design element. 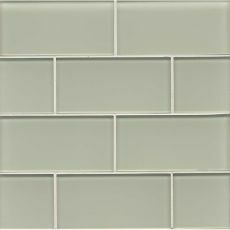 It's a classic look that can be personalized just by the grout color you choose. In this mudroom, the designer chose a grey grout for a pop of contrast. The darker grout will do well over time as this space is used everyday for in and out traffic. 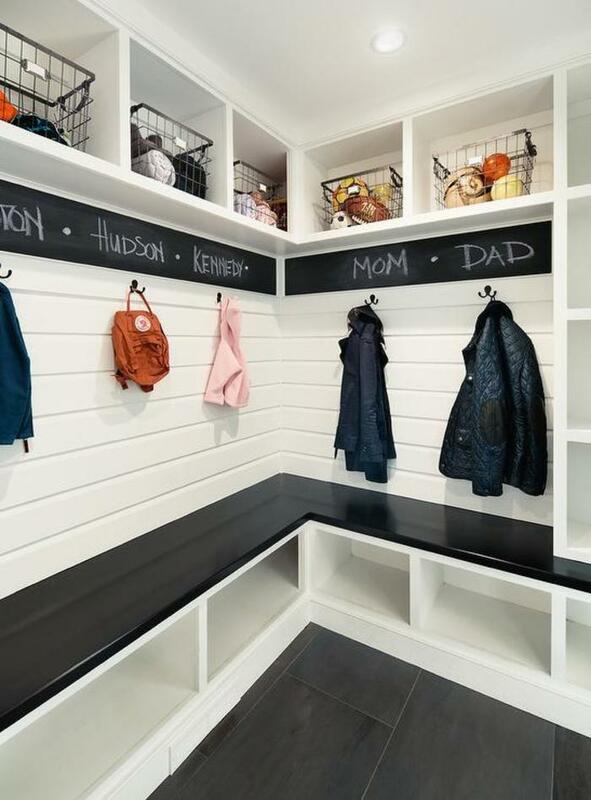 Chalk It Up - A little chalkboard paint will create a cool strip to write names of family members. 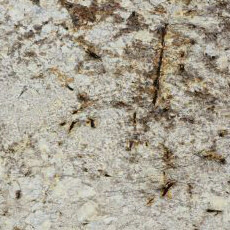 They can sit on the sleek Absolute Black granite bench while putting on shoes. 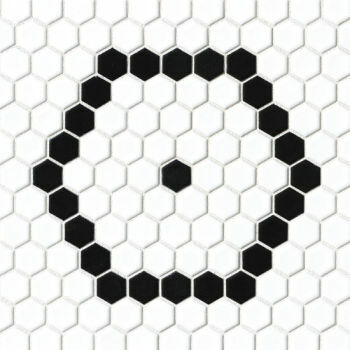 The dark porcelain floor will help hide dirt and debris. 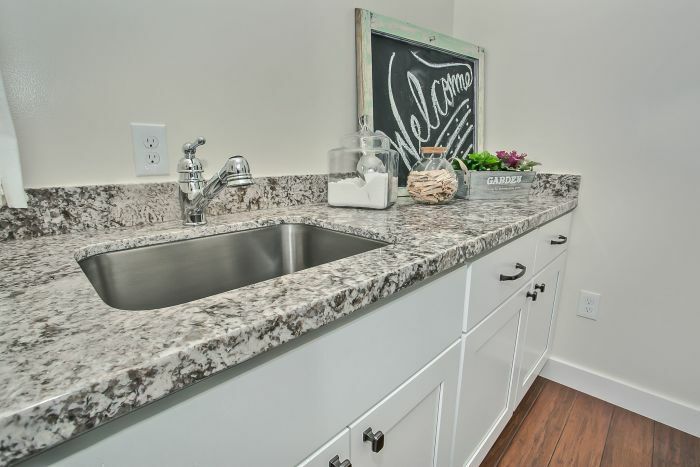 For more ideas and inspiration to design your laundry room or mudroom, browse our image gallery.